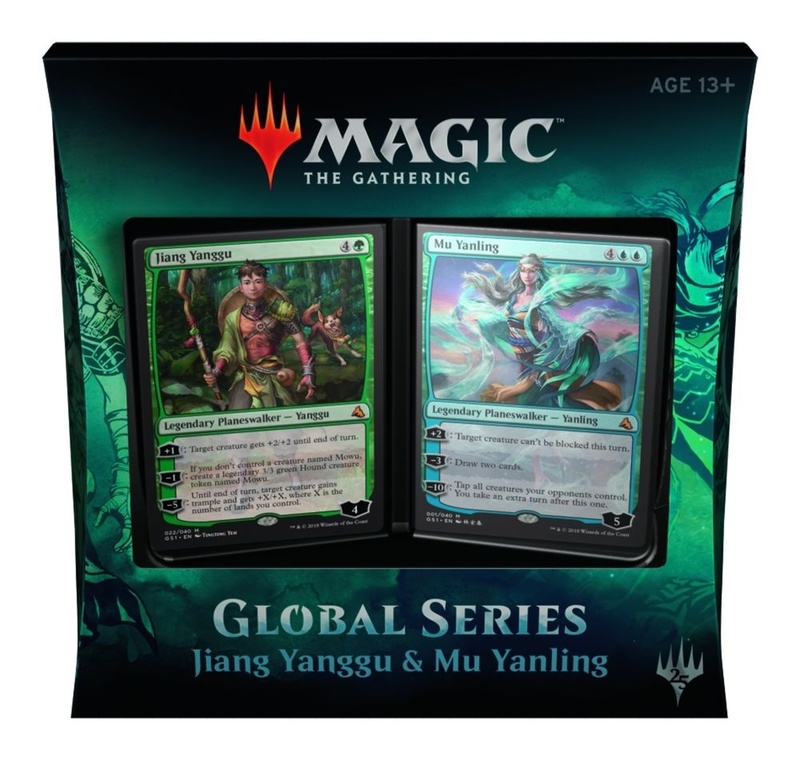 Wizards of the Coast has released box art for its upcoming Magic: The Gathering – Global Series: Jiang Yanggu vs. Mu Yanling. Announced during the “mini-announcement” in February (see “New Products on the Way for ‘Magic: The Gathering'”), the Global Series product brings a world perspective to Magic with a team of artists, writers, and folklorists from a specific country (in this case, China) to craft a new Magic story rooted in the aesthetics and mythology of their home. 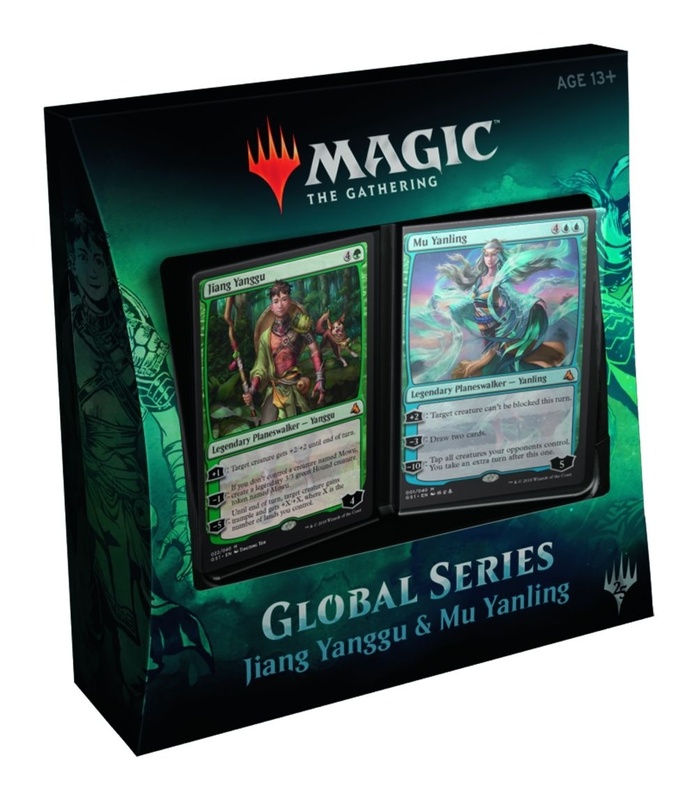 Global Series products include two 60 -card decks, including two new foil Planeswalker cards, a foil double-sided token, and an informational insert. MSRP is $29.99. Release is planned for June 22. This product will release shortly after the new Magic: The Gathering Core Set 2019 (see “‘Dominaria,’ ‘Core Set 2019’ and ‘Challenger Decks'”).